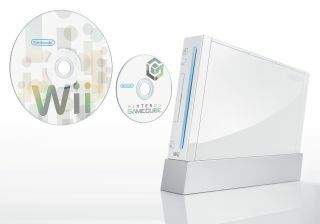 Did Nintendo Wii save games industry? Nintendo reinvigorated the games industry and won over oodles of gamers who were all bored by the Sony PlayStation 2 and the original Xbox. As reported by our friends over at CVG, Nintendo marketing exec Perrin Kaplan made these comments in an interview with Advertising Age. "A major insight that Nintendo had early on was that they saw that gamers were getting bored, even though they didn't know it yet," he said. Kaplan's colleague at Nintendo of America, Robert Matthews, echoed these sentiments and said that gamers in the 21st century prefer to play games in short bursts instead of playing for hours on end. "Just look at the way people consume entertainment today. The idea that you would spend hours playing video games is just not real anymore," he said. And Nintendo of American's third musketeer, George Harrison himself, also waded into the discussion. He said that even though the Nintendo Wii was so different to anything that came before, Nintendo didn't have to spend any extra money on marketing. "It was one of our biggest [campaigns] in terms of impact, although the actual [media] spending was about the same as the year before," Harrison said. "We didn't just double our budget to blanket both audiences [gamers and non-gamers]. "In our PR, we've always done outreach, but in this case, when we noticed something interesting happening online -like the weight loss using Wii Sports - we would draw it to the media's attention," he added. "The little things that kept showing up were picked up and blown out in marketing. ... When we saw what people were doing or how they were getting creative, we would move on it."